A contract is an essential document for businesses or individuals that enter into an agreement with various suppliers of goods and services. 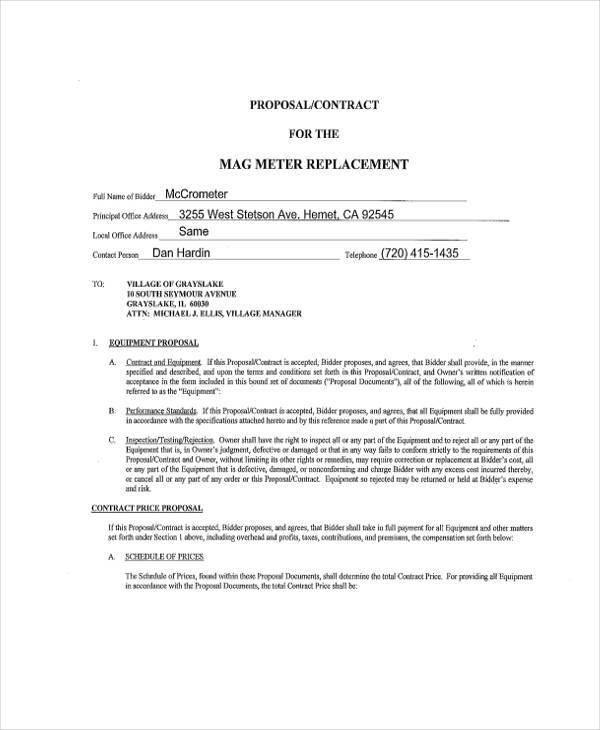 A legal contract such as a contract proposal is used to secure a contractual relationship with a business in need of certain materials, goods, or services. Any contract between two individuals is considered a legal document, which means that any party who violates the terms stated in the contract is liable to pay for damages or penalties. 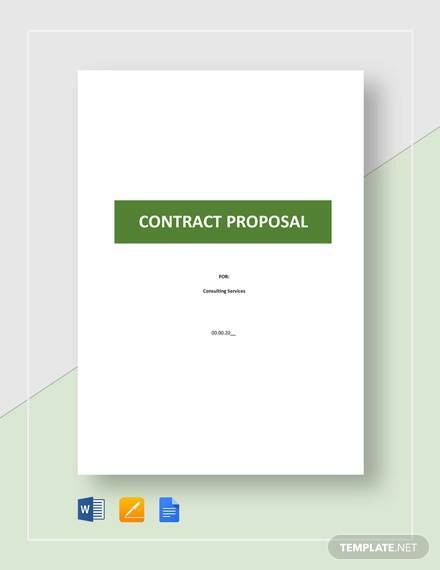 If you are looking for proposal contracts, you can download from the free samples available such as a construction proposal contract or a business proposal contract. Research about the proposal requirements of your client. It is important to study about your client’s requirements since it varies depending on your client. Identify and understand your client’s problems. This allows you to determine the methods and procedures that you need to do in order to solve them. When writing a business proposal, always include an executive summary. A lengthy business proposal doesn’t necessarily make a good one. It is important to keep your business proposal short but accurate and easy to understand. 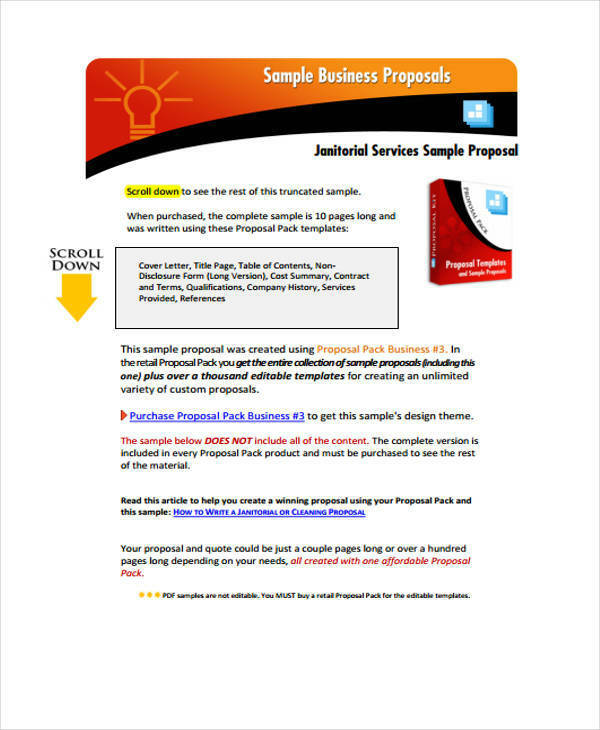 The design and format of your business proposal is also important. A neat and simple proposal will make it look professional. 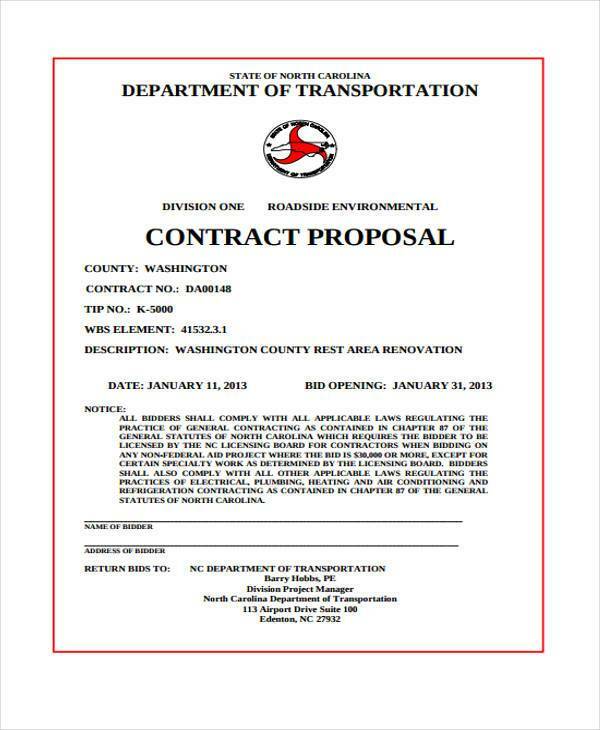 Remember to proofread your business proposal to ensure there are no errors. 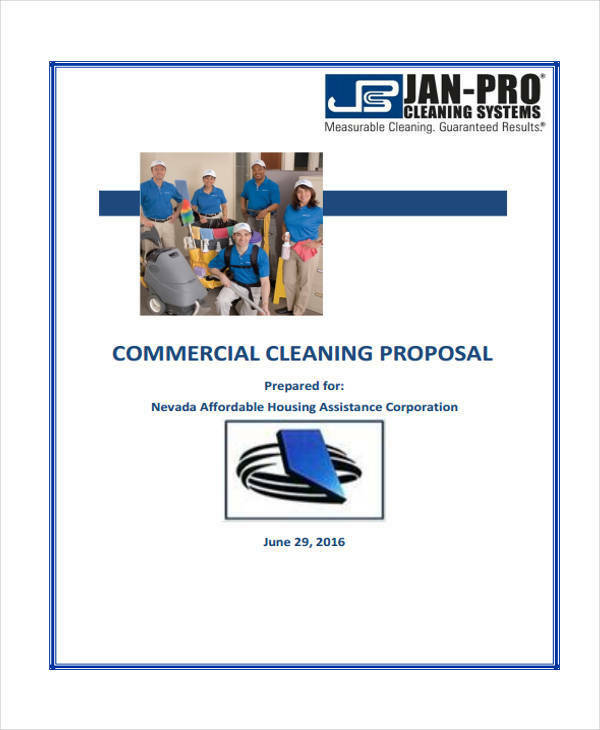 A business proposal is an important tool if you want to get the job from a prospective client. Understanding the important elements that go into a business proposal is an important step before you can create a winning proposal. Listed below are the necessary elements to help you structure your business proposal. Also, a contract sample such as a business contract is important after a deal has been made. 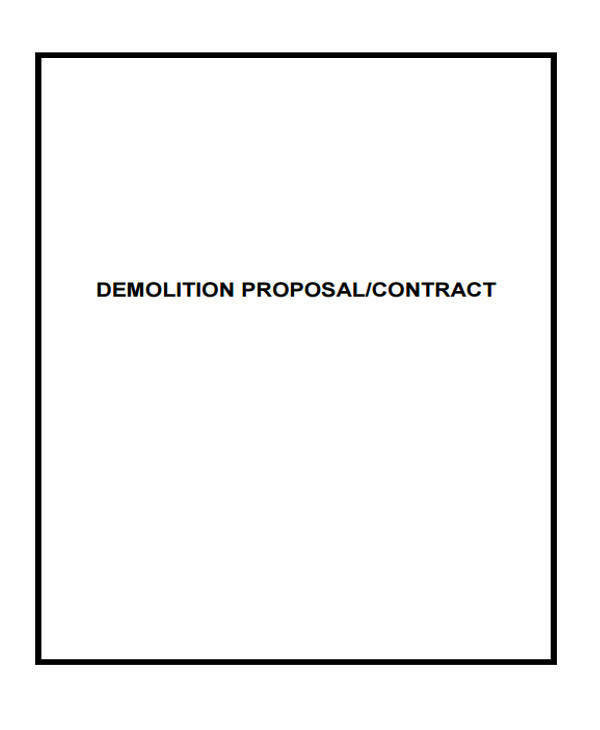 Title Page – the title page of a proposal usually contains important information of both parties. 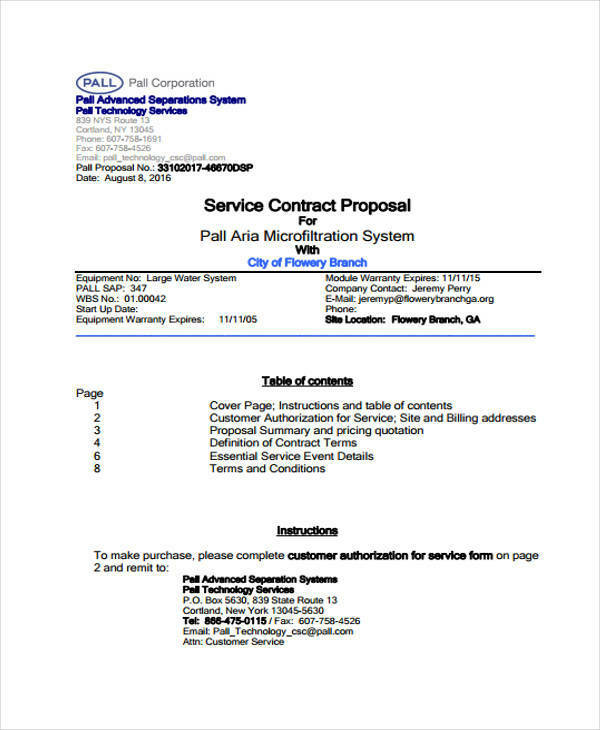 These include the names of both companies and the date of the proposal. Table of Contents – the table of contents isn’t always required in a business proposal, especially in shorter ones. Complicated business proposals require you to include the table of contents. Executive Summary – an executive summary is an important element of every business proposal. 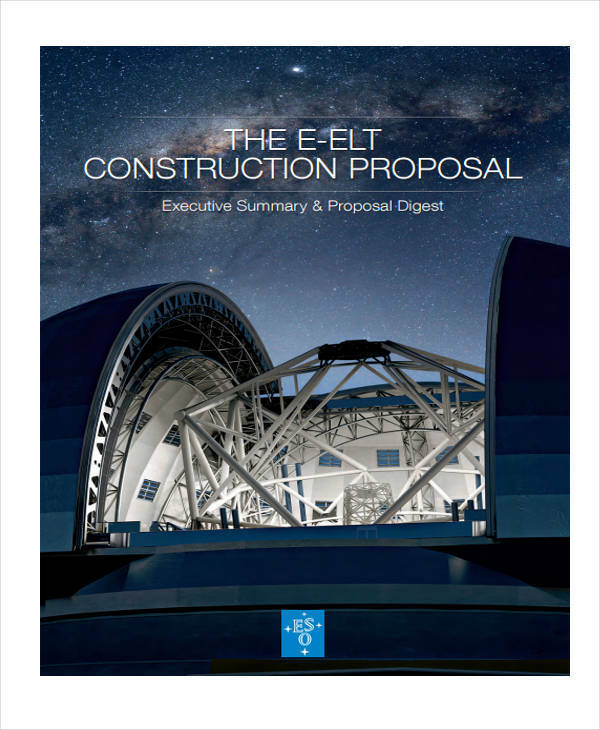 It contains a summary of the key points and the purpose of the proposal. Statement of the Problem – this section states the client’s problems or issues. Approach – indicate the steps, methods, tasks that you are going to do to solve the client’s issues. Bidder’s Qualifications – on this part of the proposal, write about your past achievements and explain why you are qualified for the job.